I’m Ramon Mejia. I’m here to bring you the latest LitRPG news, reviews, and author interviews. I have 4 new LitRPG reviews just for you. I want to give a quick shoutout to Justin Lincoln for becoming our latest patreon supporter. Thank you Justin and all the other patreon subscribers. Now just as a heads up, I’m recording this a bit in advance so it’s a smaller episode. 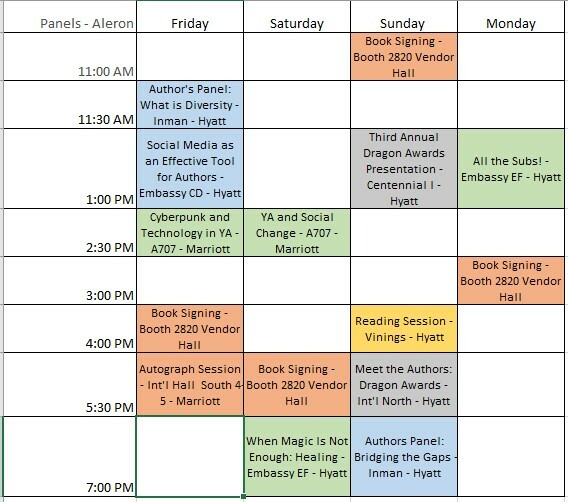 When most folks watch this, I’ll likely already be at DragonCon in Atlanta Ga. I’ll also be posting live videos from the LitRPG booth and the con floor, so keep an eye out for those on our facebook and twitter pages. Jeffrey Falcon Logue has continued to work diligently on his game. There’s another update on the Slime Dungeon Chronicles side scroller. Now with a menu! Sean Callahan from Game Reads chats with Matt Dinniman, author of Dominion of Blades and creator of cool cats with mustaches art! If you’re at DragonCon, don’t forget to follow Jeff Sproul. He’s the author of Sigil Online, but more importantly, he’s the LitRPG Quest Giver at DragonCon. He’ll be tweeting through out the con where he’s at, giving quests for people, and handing out rewards to those that actually complete them. Just as a quick reminder, Aleron Kong is hosting the 3rd annual LitRPG Gala during DragonCon. It’s a chance for fans of the genre to meet some of their favorite LitRPG authors. 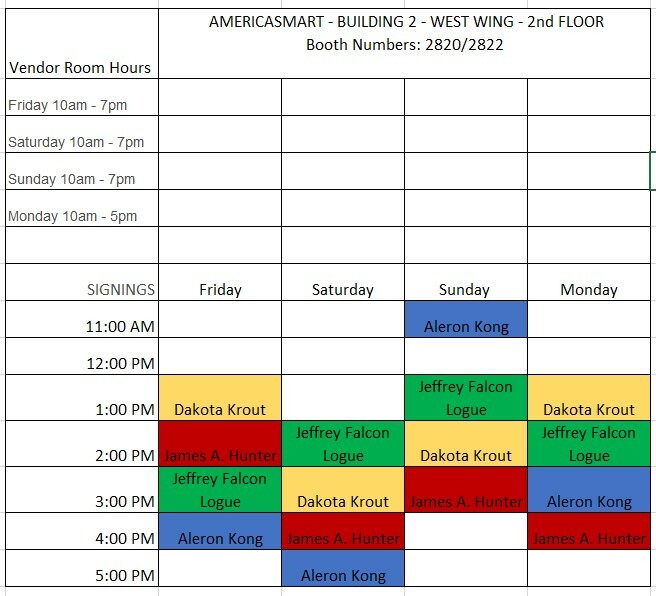 Here is the schedule for author signings at the LitRPG booth.